For the first time this season, the NBA is offering a bundled package that allows fans access to NBA League Pass on their TV, online, or via mobile device for $169. For those who prefer to go strictly broadband, or who don’t have a participating Cable or Satellite provider, NBA League Pass Broadband provides a couple of options. You have two different subscription options for NBA League Pass Broadband, Premium and Choice. 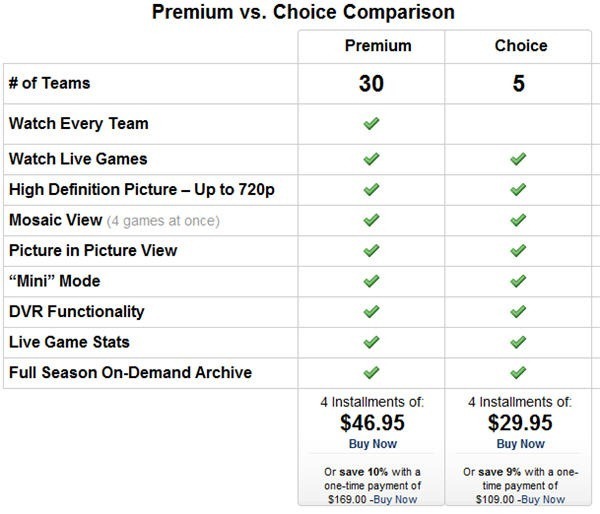 Premium gives you access to every out-of-market game for $169 for the season. Choice lets you choose 5 teams to watch throughout the season for $109. (Choice gave you 7 teams last year.) You can choose to pay in monthly installments but it will cost you about 10% more. 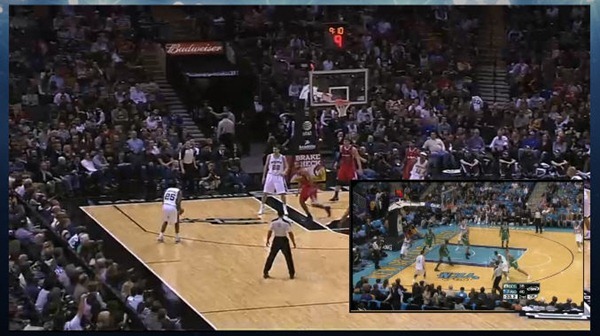 This year the NBA is boasting a 720p HD picture for NBA League Pass Broadband. You can also watch 4 games at once in Mosaic view as opposed to 3 games last season. Gone is the Player Tracker feature which we frankly never found very useful. The video player has also received a refresh. 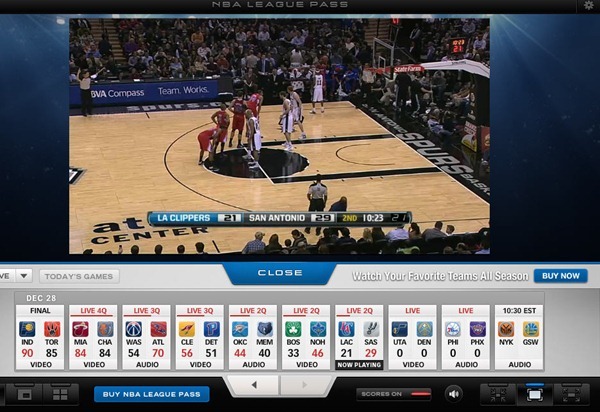 After launching NBA League Pass player, you begin watching a game by dragging it to the viewing area. While “HD Quality” may be subjective, especially to the naked eye, my initial reaction was that the picture is improved from what I remember last season. You can watch 2 games at once with Picture in Picture. However, the PIP feature has a couple significant limitations. First, you can’t easily swap the pictures nor can you move the location of the PIP window. 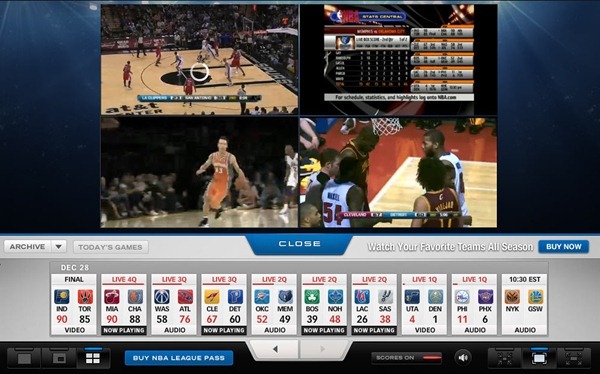 Both of those features are available with other products like WatchESPN and MLB.tv. As is typical with major sports packages like NBA League Pass, the blackout rules are a huge negative for fans. An additional bummer is that it appears you can’t watched blacked out games the next day the way you can with MLB.TV and NFL’s Game Rewind. Our view on NBA League Pass is essentially the same as it was in past years. If you are a fan of an out-of-market team and want to be able to watch every game, or just can’t get enough NBA regardless of who is playing, NBA League Pass will be right up your alley. If you are mainly interested in watching your home town team and/or featured games broadcast on ABC, TNT, and ESPN, you probably won’t find much use for NBA League Pass. If you are on the fence about purchasing NBA League Pass, or just want to check it out for yourself, it is available as a free preview through January 8th, 2012. Also, you’ll want to note that if you purchase the full NBA League Pass package, you get broadband and mobile for free. 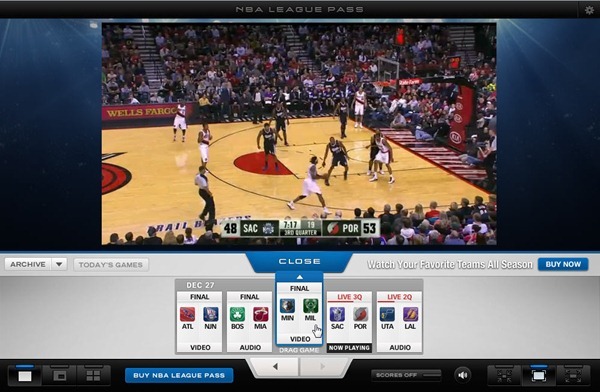 If you are only interested in NBA League Pass Mobile, it’s available for iPhone and Android for $39.99 for the season. 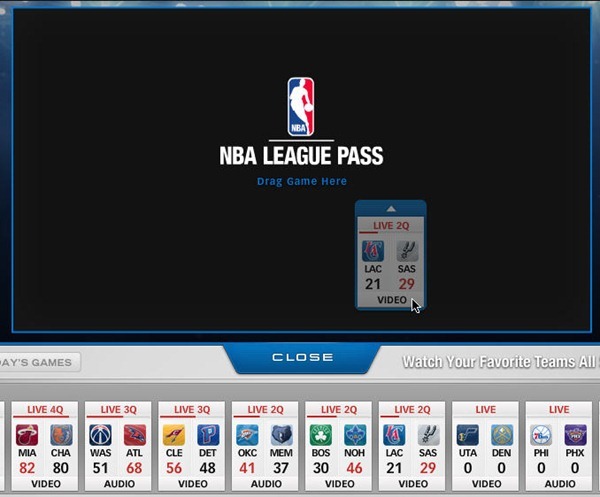 Get more information on NBA League Pass or purchase a subscription here at NBA.com.